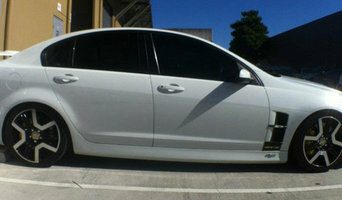 Window tinting for all you needs. 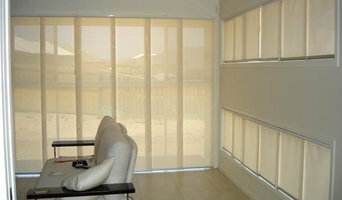 Modernise the look of you home with solar film while creating privacy. Heat rejection up to 82%, Glare reduction up to 98% all the while being able to see out of your windows. Think of it as Sun Glasses for your house. Specialising in custom-designed and manufactured blinds and shutters, Robs Blinds offers top-quality, Australian-made blinds, direct to you at factory prices. Choose Oops Cleaning for all types of Curtain Cleaning Brisbane. We at Oops cleaning company provide a wide range of curtain cleaning services in all suburbs of Brisbane. We offer Curtain Cleaning Brisbane, Onsite Curtain Steam Cleaning, Professional Curtain Steam Cleaning Service, Steam cleaning curtains and Dry cleaning curtains. Our experienced workers are able to give excellent cleaning services at your place. While giving our exceptional cleaning services for more than two decades to our lovely customers, we have learned best cleaning process. Our curtain cleaning professionals can pick up and rehang your curtains after dry or steam cleaning. Don't worry about shrinkage and colour fade. We give 100% guaranteed for your curtains. Just need to call us +61 414 530 372. Create Your Sanctuary -- We believe in making your home both a beautiful and relaxing space. Brisbane Shutters and Blinds will help your home reach its full potential through our unique innovation and design experience. -- Plantation Shutters - Aluminium Shutters - Blinds - Aluminium Rollers - Awnings -- Call us today to organise a quote! At EziLux, we offer Australian made Shutters that can be custom-made for your individual home or office. EziLux can assist customers with Poyshield Shutters, Timber Shutters & Aluminium Shutters. Factory Direct products, with Factory Direct prices! For 20 years strong, Factory Direct Shutters, Awnings & Blinds has been delivering our valued customers the best quality window and outdoor shades for their homes at the lowest prices, guaranteed - we'll beat any written quote! Servicing Brisbane, Ipswich, the Sunshine Coast, the Gold Coast and Northern NSW, we want your experience with us to be as easy as possible. We bring our mobile showroom to your door and provide you customised expert advice and recommendations for the best solutions for your home or business, based on your exact needs. With hundreds of products, finishes, materials and installation options, including Zomfy Automation, all customised to your exact specifications, you can created the perfect result to make your space as livable as possible. Whether you're renovating your home, need some shade for your BBQ, or want to add some instant style easily to a room, call one of our friendly team experts for advice or an obligation free measure and quote on 1300 077 125. Thimble and Co are a window and soft furnishings manufacturer, with a showroom and workroom in Sandgate. Curtain Wonderland offer a range of ready made curtains and blinds, Buy online and save.